Phoenix Contact offers a comprehensive product range for contact-free system and device marking via RFID technology. With the RFMARK reader with HF or UHF technology, you can write marking material with integrated RFID transponders without contact. You may use Radio-frequency identification (RFID) for contact-free identification, data exchange, and localization of transponders/tags without visual contact. With the aid of an RFID handheld device, which acts as a transmitter and receiver, data is transmitted to and received from a transponder/tag by electromagnetic waves (UHF) or a magnetic field (HF). When it comes to RFID technology, a distinction is made between active and passive transponders (transmit and response). The fundamental design of an RFID transponder consists of an antenna, a microcontroller, and a permanent memory that can be read and written. In order to ensure optimized maintenance, passive transponders that do not have a seperate battery supply tend to be used in power plants. Since for electrical equipment clear identification is the primary aim, greater distances and the associated bulk detection are not possible here. In the case of bulk of bulk detection, all RFID transponders within range of the handheld device are detected. In the case of mechanical structures and large units, it is more practical to use UHF transponders due to the inaccessibility of some areas. Bulk detection of multiple RFID transponders is certainly a possibility here. Moreover, if you wish to know more about our RFID Transponder and its applications, please visit our website. On August 31, 2016, Phoenix Contact GmbH & Co. KG, Blomberg, concluded a contract for the acquisition of the Canadian network specialist Perle Systems Limited, Toronto. Thus, Perle Systems is another international subsidiary of the Phoenix Contact Group, a global market leader for components, systems and solutions in the area of electrical engineering, electronics and automation. Perle Systems provides products and solutions for industrial networks. Since 1976 the company has been developing and selling media converters, industrial Ethernet switches, and serial devices. The product range comprises a large number of variants and allows numerous and new applications as part of the digitalization process. The Canadian company currently has approximately 50 employees. 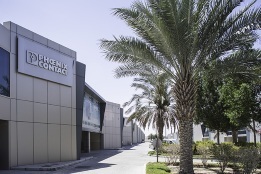 It is the objective of Phoenix Contact to expand the new subsidiary to another competence center for industrial networking within the Group. With the acquisition of Perle Systems, Phoenix Contact has strengthened its competence as a provider of solutions for Industrie 4.0. “Perle Systems has extensive product know-how and successfully operates a global online business. This constitutes an important reinforcement for us with regard to the digitalization of business models. Due to the incorporation of this know-how, we complement our product portfolio and furthermore gain a valuable development resource”, says Frank Stührenberg, Chief Executive Officer of Phoenix Contact. Finally, the company Perle Systems Limited will continue its business operations under its own name.